If you think about Czech Republic, the first thing that comes to your mind is probably Prague. And Prague is beautiful indeed: its old town, filled with red-roofed buildings is especially charming while admired from one of the towers. Moreover, the prices for such a popular destinations are still pretty good! If you wish to see the famous Charles bridge without hundreds of tourists, wake up very early and the bridge is only yours! The sunrise photos are spectacular. Everyone knows about Prague, but very few people actually are aware of the spectacular natural wonder in the west of the country - Adrspach-Teplice rocks. It's a magnificent labyrinth of naturally occurring rock columns, formations and passages. Besides that, you can admire the turquoise lake and the vivid orange river flowing through the rocks. Have a look at the posts about Czech Republic to discover more! 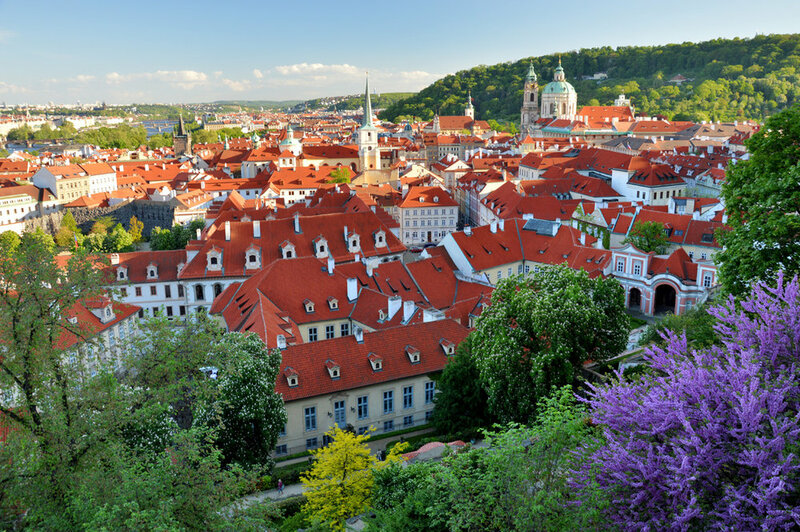 Most of those who visit Czech Republic head straight to Prague which is undoubtedly as beautiful as famous. However, very few travelers ever leave the capital and know about located on the other side of the country, near the Polish border, Adrspach-Teplice Rock Town. It's not a "town" meaning a settlement built by people. The "town" is made naturally of huge rock formations that take the shape of pillars, columns, walls and labyrinths. It kind of resembles the famous Cappadocia region in Turkey. What's interesting is that almost every rock has its distinctive name, for example "the lovers" or "the Johann Wolfgang".